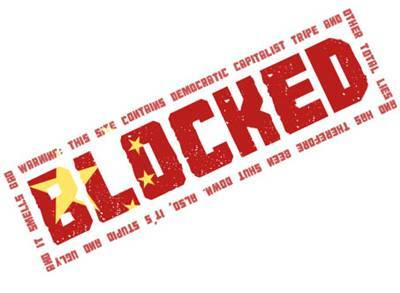 wordpress.com still blocked in China! Just came back from a 2 weeks’ trip to China, the startup culture is certainly growing fast in China especially Beijing. I was not able to blog my experience over there because wordpress.com was still blocked. It was blocked in 2008 when I was there for NOC and it still is. Alternatively, there are still ways to blog through wordpress.com. One, you can get a VPN – this way you can access facebook and twitter as well but it will cost you, unless you are in China for a long period of time otherwise try looking for free VPN tunnel. Two, you can simply make use of wordpress.com – Post by Email service like I did for this post. I would also like to share with you guys some internet services that I faced problems/blocked while I was there. Gmail – It was laggy and I had to keep reloading. Next Post Miss a flight in Beijing? I bought a domain name and my site still isn’t visible in China. I’m moving to Guangzhou on the 3rd so I guess I’ll just buy and setup a VPN before I go. Curse you, Great Firewall of China!!!!!! Yeap, getting a VPN may be a good option. It appears though that it is just WordPress.com, I can get to WordPress.org with no problems so the platform should work. Also, I have been here since May, and did not have any problems until this month, so I’m still hopeful it’s temporary . . . If it is possible do let me know if the situation improves. I am not in China now but I am planning to switch to wordpress.org but if china blocks wordpress.org than I may not be switching. I didn’t use a VPN and did not purchase my domain name but was still able to access my wordpress blog in china. I lived in Beijing in 2011 and outside of my access to the site being very slow everything worked well. I was able to update my blog almost daily. I thought the block was lifted! Maybe it has been lifted? Are you located in China or visiting china often? No we are in North West London hope to visit soon though!! its not lifted.stil its blocked.only the wordpress.org site is working. Which part of China are you at? Yeah. I just checked recently. It is still blocked for wordpress.com. Oh but apparently tumblr is not. I surprised too.